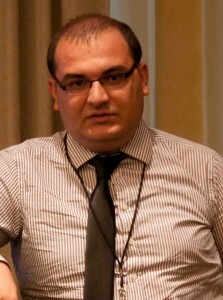 Dr. Alptekin DURMUSOGLU is Associate Professor at Industrial Engineering Department at University of Gaziantep, Turkey. He holds a MsC and PhD degree in Industrial Engineering from the University of Gaziantep in Turkey. Dr. DURMUSOGLU’s research examines the data mining and knowledge discovery. In addition, he has a long-standing interest in technology management with an emphasis on early warning for technological changes.